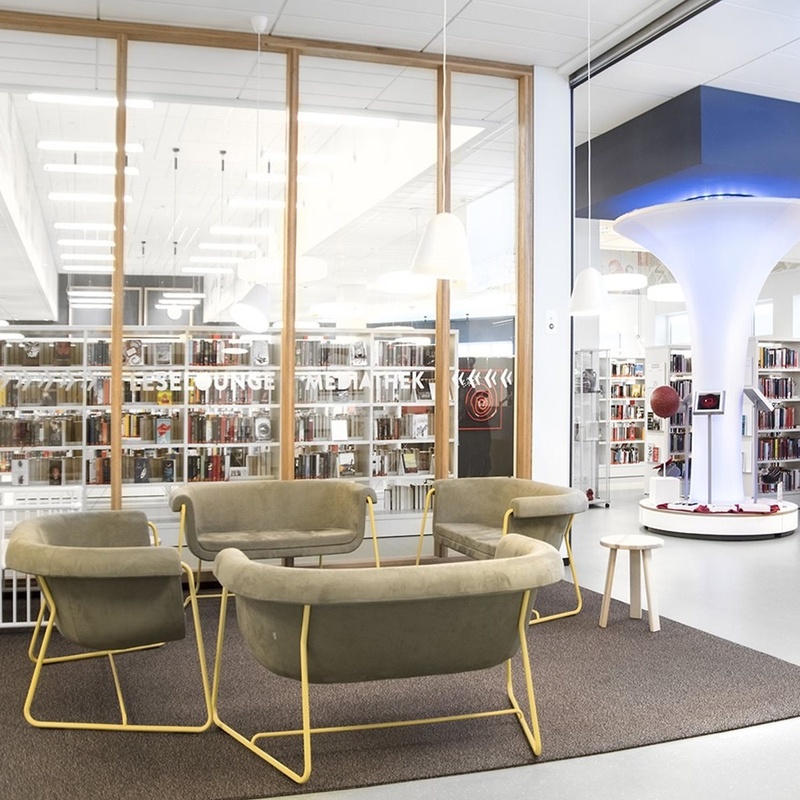 Mediathek Kamp Lintfort is a multipurpose educational centre, featuring a library containing over 50,000 books, magazines, games and digital media. 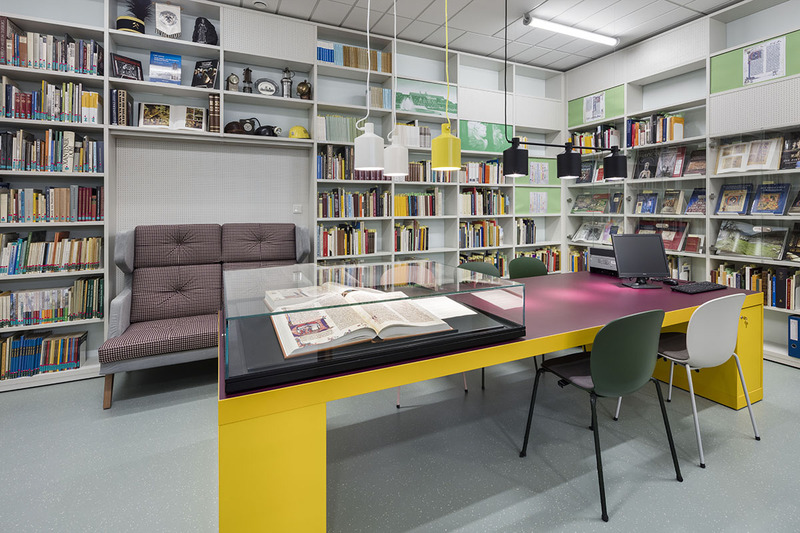 Interior designers UKW Innenarchitekten delivered a dazzling media centre in the heart of German city Kamp-Lintfort, creating a prestigious place of learning and a cultural meeting place for generations to come. Located on the ground floor of the Rathauscenters building, it fills a space that was in much need of regeneration. 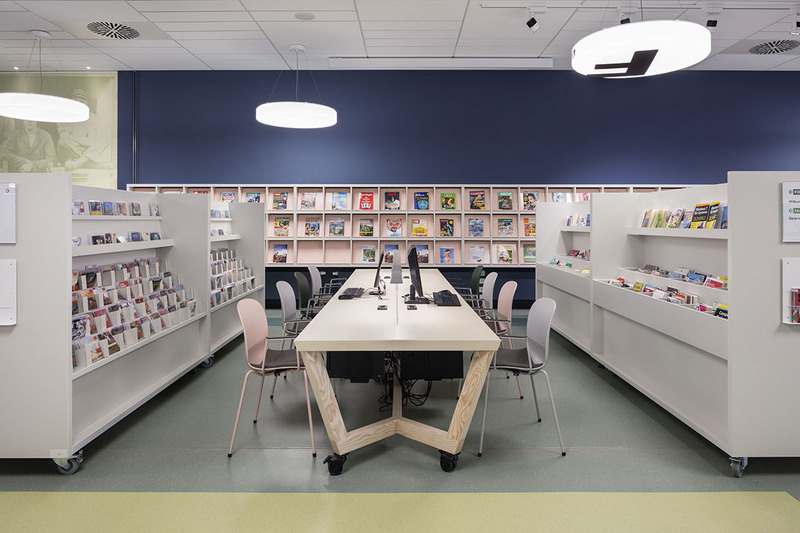 Publicly funded, the core of the project is a well-stocked library, but it goes far beyond your traditional book depository, with cultural meeting places and a full multi-media experience inside. 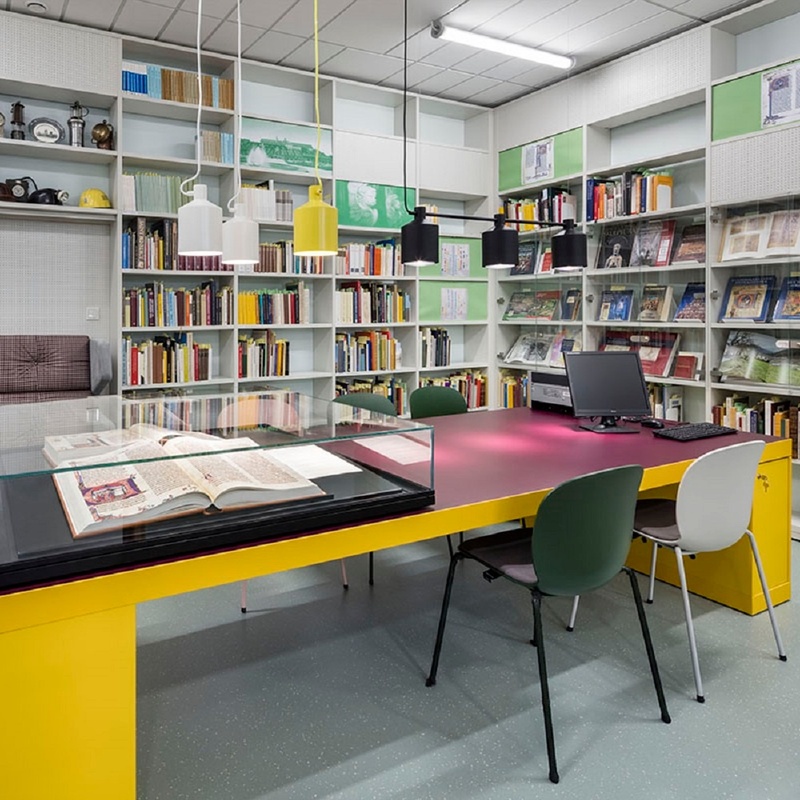 It also features what is known as an ‘Open Library’, a trend currently taking hold across Europe. 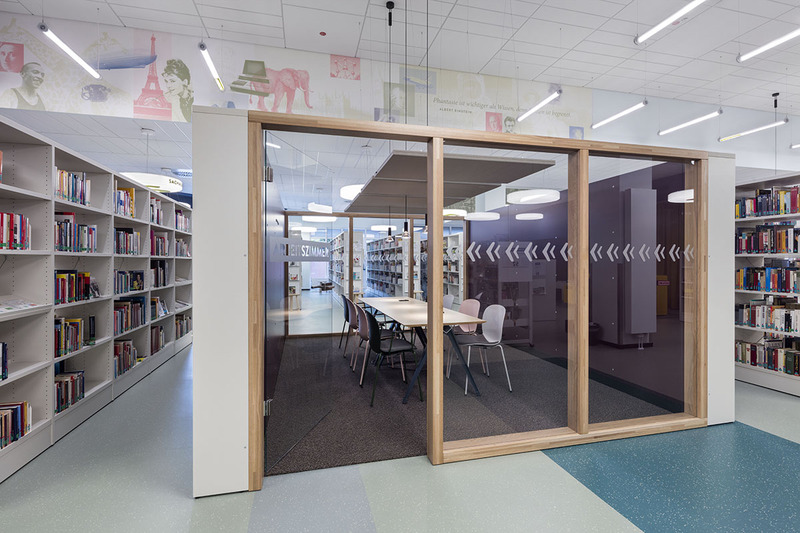 Open outside of the normal library hours, it’s warmness is designed to attract people inside to spend time and relax. Learning environments which offer places to hold talks and classes, and a home room which is run by local history clubs also form this zone. The concept for the project as a whole was to be attractive, to offer versatility, and to be comfortable for the people visiting. 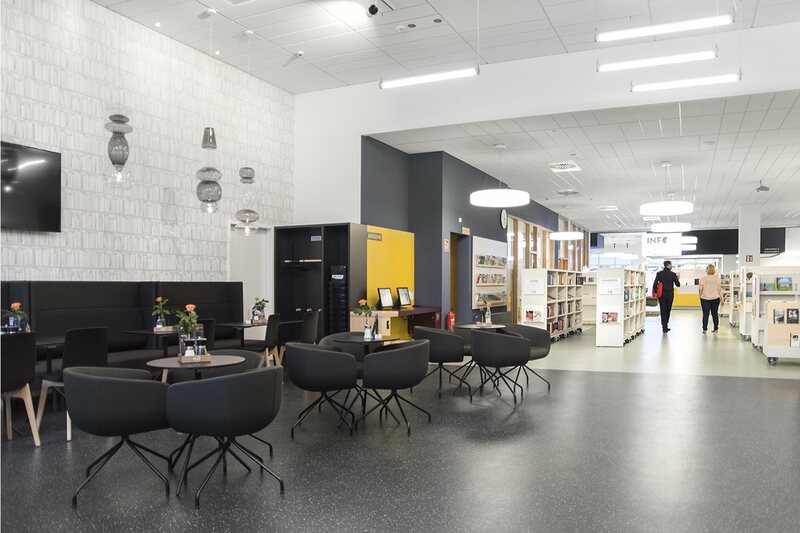 Seating plays a pivitol role in such a building, with high quality, durable chairs that were easy to clean and maintain the preferred option. 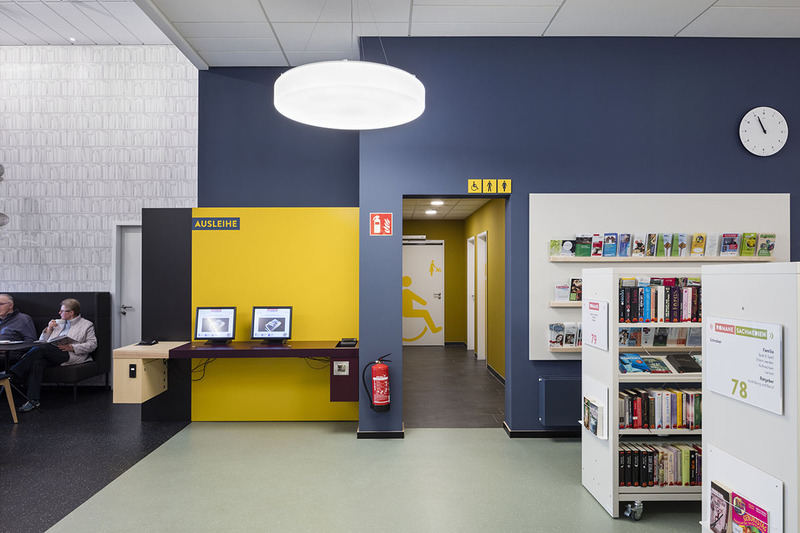 After a consultation period UKW chose to include the RBM Noor for a variety of areas, choosing the colours Rose, Misty Grey and Forest to match the overall design of the interior. Seat upholstery was included to provide comfort for extended seating, which comes as water repellent and antimicrobial to offer great durability. Taking advantage of the multiple ways the RBM Noor can be setup, different options with and without armrests, and with different footbases were chosen to best fit certain areas. The overall design of the interior is light, crisp and colourful, with bold furniture complimenting the light walls and high ceilings. Open inviting spaces, brand new books and a great cup of coffee make this place one of Kamp-Lintforts most coveted public spaces today.